Ben Fogle is a friendly familiar face on British television and famous for his passion for Labradors. London Mums have interviewed him and published here the first five minute of our chat. The rest of the interview will be published in the forthcoming Spring issue out in supermarkets from the end of February 2016. 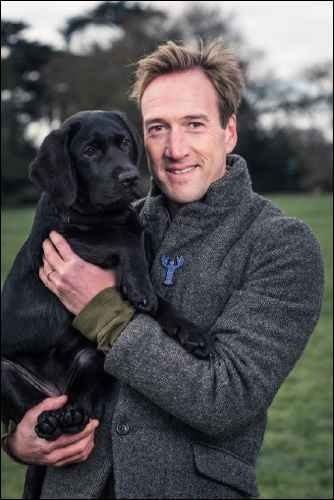 In this first interview writer, presenter and long-time dog lover Ben Fogle talks to us about the Labrador which is Britain’s favourite dog. His latest book Labrador: The Story Of The World’s Favourite Dog is a very detailed social history of Labradors. Ben tells how Labs have become the world’s most beloved dogs. At times it is also very emotional when he talks about his affection for his dogs. I must admit that I have shed a few tears right from the first pages. It’s a great book to read over Christmas. In this interview Ben tells me a few exclusive anecdotes about his beloved black Labrador, Inca, famously accompanied him on numerous journeys and adventures. Your new book Labrador is a social history of Labradors, and how they have become the world’s most beloved dogs. You have probably shared lots adventures with your Lab. Could you tell us an exclusive anecdote or story about you two? Ben: Inca, my first Labrador went everywhere with me. She met Sophia Loren, flew in helicopters and appeared in Conde Nast fashion shoots. She was as happy in a TV studio as she was running in a field. She has a tree in her memory in Hyde Park. Each year I hang a bonio from its branches for her. She loved food as much as she loved me. You are passionate about Labradors. I believe you met Marina while walking your Labrador in Hyde park… Why are Labs such good companions? Ben: They are loyal, biddable, kind, loving, happy, enthusiastic and trustworthy. All the traits you could want from a dog. As a parent they are also traits I want to instill on my kids. Labs are outgoing and friendly. How I would like my children to be. Apart from the Labrador, what is the best type of dog for a family? Ben: My father (Dr Fogle, the vet) recommends Staffordshire Bull Terriers. Golden Retrievers are good. Puggles, cockerpoos and labradoodles are some of the best new mixed breed dogs. Can dogs be therapeutic for difficult children and why? Ben: Of course. Dogs and children are made for each other. Dogs have great empathy. They can sense when a child is not happy. There have been plenty of trials with autistic children in which dogs have been therapeutic. 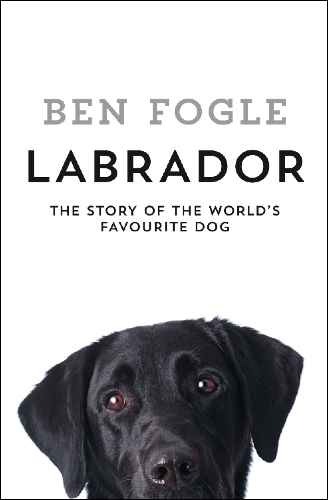 Labrador: The Story Of The World’s Favourite Dog by Ben Fogle is published by William Collins RRP £20. Native to Newfoundland, where they worked side-by-side with fishermen, then brought to England in the 1800s by English ships, Labradors are not only popular as a family companion but also excel in hunting, tracking, retrieving, guiding and rescuing. In this unique first social history of the Labrador, Ben Fogle investigates what makes Labradors so beloved and why they are considered so trustworthy – 30 per cent of dogs used as guide dogs in the UK by The Guide Dogs for the Blind Association are Labradors, for instance. They have an extraordinary capacity for companionship, intelligence, work ethic, and loyalty. With stories of RNIB Labradors and Labradors at war, Labradors as working dogs and every other manifestation of Labrador/human interaction, Ben writes engagingly and passionately about our lasting love for one of man’s best friends and companions. Exploring their origin, early characteristics, their use as gun dogs, as therapy dogs, as police dogs, as search and rescue dogs and last – and absolutely not least – as family pets, Ben draws on the extraordinary experiences we have encountered with Labradors to tell the story of a dog breed which has captured our imagination and love for hundreds of years. This entry was posted on Monday, December 14th, 2015 at 11:00 am and is filed under Books. You can follow any responses to this entry through the RSS 2.0 feed. Both comments and pings are currently closed.